The following are excerpts from an interview by WZZM’s Catherine Behrendt with Pine Rest Addiction Medicine professionals John Budnick, PA-C, and Stacey Williamson-Nichols, LMSW, CAADC. Catherine Behrendt: We’ve been hearing so much in the news lately about the opioid epidemic, and indeed it is an epidemic. In 2016, 2.1 million people had an opioid use disorder and more than 42,000 people died from an overdose. That’s 116 a day! The folks here at Pine Rest are experienced at helping to deal with this epidemic. Behrendt: So let’s talk about this epidemic. The statistics bear it out as quite serious. What is it? Firstly, what are opioids? John Budnick, PA-C: Opiates are very strong, addictive chemical compounds. The comparison I’d like to use is the post-workout euphoria or the “runner’s high”. We all know that after an intense workout we feel better, right? We feel energized, we feel happier, and we feel a sense of well-being. 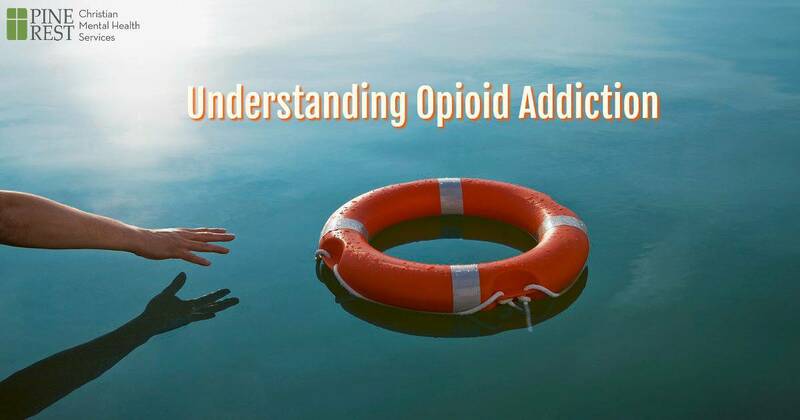 Opiates produce that same physiologic benefit, except that they are 100 times stronger than our natural endorphins. That’s one reason why opiates are so addictive. Another reason why opiates are so addictive is that they not only mitigate or lessen physical pain, but they also lessen emotional pain. Patients who are struggling with depression, anxiety and symptoms related to trauma, find secondary benefits from being prescribed opiates. It’s not that these patients are running out wanting to get high, it’s that these patients are covering up psychological symptoms in pain. And that leads to them self-medicating with opiates, and then go on to develop opiate addiction. Behrendt: I understand a very good percentage of the people who die have been prescribed these medications. As you describe, they are not getting them on the market or something like that, they are getting them from their doctors. Budnick: That is correct. But I think it’s important to note that prescribers do not cause opiate addiction. Now, could a prescriber be less than scrupulous with their prescribing patterns? I think the answer is yes. But 50 percent of your risk for developing opiate addiction lies in your genetics, and the other 50 percent is underlying psycho-social factors. Behrendt: So what is this about people switching over to heroin? They have a proclivity to do this? Budnick: Well, it really boils down to cost and accessibility. With the increasing attention on the opioid epidemic, there are less prescription opiates available on the streets. While that sounds like a good thing, and it is, that doesn’t help the 4 million people who are currently addicted to prescription opiates. No, they are in survival mode. They are turning to whatever substance they can to alleviate physical pain, cravings and withdrawal discomfort. And unfortunately, that substance is heroin. The scary thing about heroin is many times it contains additives and adulterants. And these additives are like synthetic opiates, such fentanyl and carfentanil, which are 100 to 10,000 times stronger than morphine. That’s why heroin is so deadly and that’s why we’re losing 116 people a day from this devastating disease. Behrendt: And that heroin might be easier to get a hold of too, I’m guessing. Ok, let’s talk about Pine Rest, because residential detox is a big part of the way that you serve people in this situation. Stacey Williamson-Nichols, LMSW, CAADC: We offer a broad range of services, starting from individual, which is our least intensive, up in to our residential, which is our most intensive. It’s designed to really help people be met where they’re at. So if someone were to come in to talk about services, we would work with them, take a strong history, understand what’s going on with them, understand their symptoms, work with their insurance, meet them where they’re at with the right service. Because this is such a devastating disease and has cost people their lives and has affected families, we offer family services as well, both individual care and family group. This disease holds not only the addict hostage but their family as well. What we’re trying to do is treat the person with addiction within their larger network and to start healing the pain this disease has been causing. Behrendt: So is the idea, detox first? Gut through that piece of it and then access many of the other services you provide? Is that kind of the journey? Williamson-Nichols: It can be, absolutely. For certain people, detox is where they absolutely need to be at. They’re not able to stay and remain sober on their own. There are too many things in their environment that make it risky for them to stay in the community. Some people don’t. And we are able to help manage them in the community. It really is an individual, person-by-person basis. For more information about addiction and treatment, visit the Pine Rest Addiction & Recovery microsite at pinerest.org/addiction. John Budnick, PA-C is a Board Certified Physician Assistant experienced in both inpatient and outpatient psychiatric settings. He has obtained a Master’s of Physician Assistant Studies from Grand Valley State University, and has practiced in the field of addiction medicine since 2002. John is an adjunct instructor in the department of Psychiatry for Michigan State University, College of Human Medicine. He is also a faculty member of the Addiction Psychiatry Fellowship. John has had extensive experience with evidence-based and system-based practice of different aspects of addiction psychiatry including; outpatient substance abuse treatment, inpatient detoxification, medication assisted treatment with buprenorphine and naltrexone, management of patients with dual diagnosis and consult addiction service at Pine Rest. John’s area of expertise is in the diagnosis and medication management of psychiatric and substance use disorders in adults 18 years and older. Stacey Williamson Nichols, LMSW, CAADC is a Licensed Master of Social Work (LMSW) and is also a Certified Advanced Alcohol and Drug Counselor (CAADC) with more than 10 years of experience in the social work field. 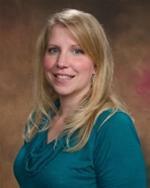 She received both her undergraduate and graduate degrees from Grand Valley State University. Stacey’s experience includes working in the areas of domestic violence, childhood abuse and neglect and its effect in adulthood, chronic mental illness, substance use and dual diagnosis. Areas of expertise include work with several disorders – mood, anxiety, co-occurring, trauma and personality.